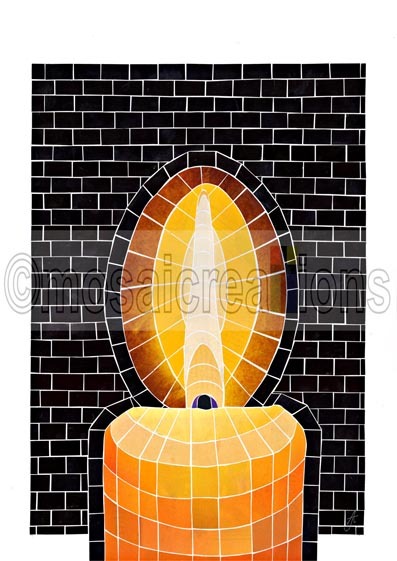 This mosaic presented an interesting challenge as I wanted the candle to 'shine' against the dark background. Psalm 18 has many different themes, but this verse inspired me during a very difficult emotional time in my time. God entered into the darkness that surrounded me and brought His light into my life.